Great company deserves a great brand. 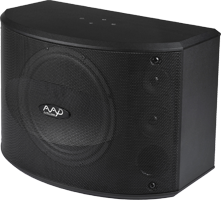 Phil Jones Bass and AAD by Phil Jones are now one brand: Phil Jones Pure Sound. With 40 years experience playing bass and perfecting sound, Phil Jones has crazy-like passion and knowledge yielding ground breaking designs and award-winning sound products... along with some great company. Studios like Abbey Road. Jazz pianists like Bob James. Bassists like Pino Palladino. Legends like Bob Babbitt. Composer/bassists like Kyle Eastwood. Magazine covers like Stereophile. 40 years of innovation, invention and reinvention. A career flanked by worldwide clients and industry firsts. Welcome to Phil Jones Pure Sound.